This home is the “youngest” on tour this year and is more appropriately termed French Eclectic in style. It shares many of the same characteristics as the English-inspired Tudors, the single defining feature that separates it from the others is its rounded entrance tower topped with a conical roof. 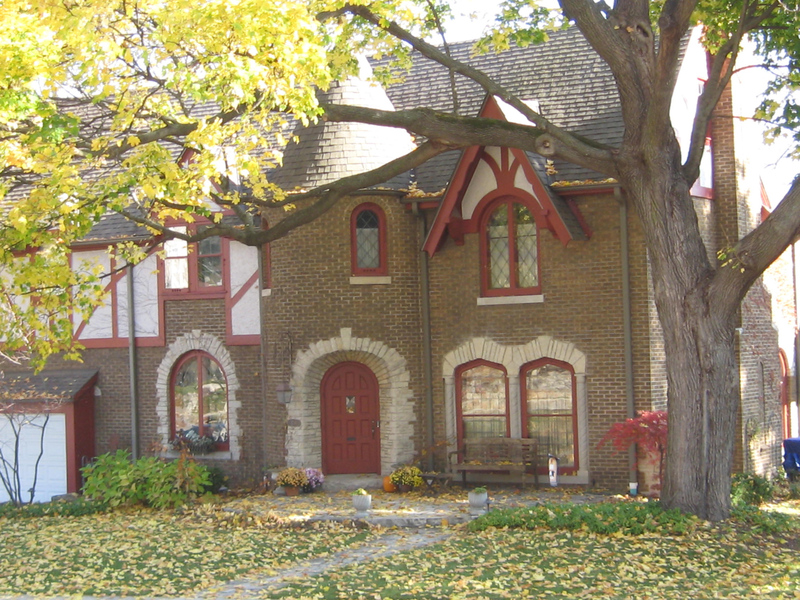 More typically, French Eclectic-style homes are also topped with a hipped roof, but this example is gabled. It was designed and built in 1930 by Roy C. Otto, who worked as a designer/contractor for about ten years. The house is believed to be among the last that he produced before spending the rest of his life operating bowling alleys in Milwaukee. The home’s original owners were engineering expert Theodore Mickelson, who was born about 1871, and his wife Anna. They remained here for three years. 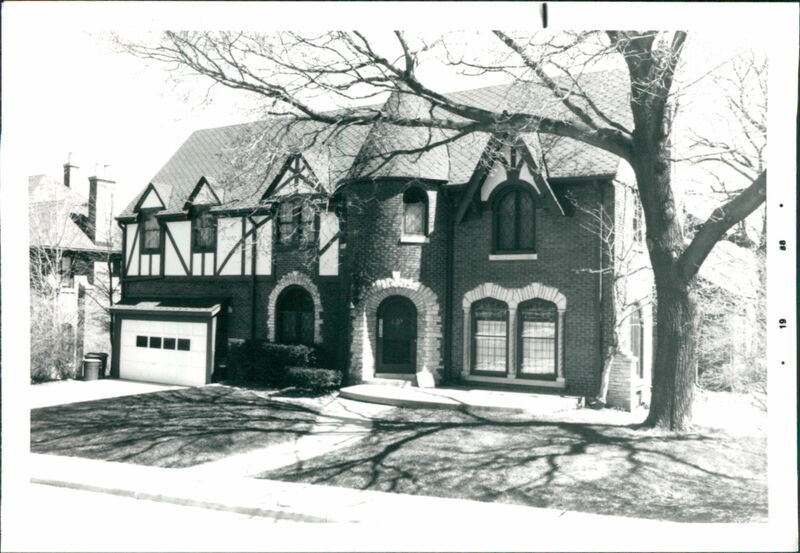 The house was then sold to August Irving and Myra Scherer, who lived there for the next four years (until 1937). The Scherer family has either owned or rented a total of three WHS tour homes featured over the last five years. A special thank you to the Scherer family for continuing to share historic family photos of each of them. For the next nearly 50 years, the home was owned by businessman and part-time author and playwright, Laurence Gross and his wife, Helen (1937-1965) followed by Thomas and Jeanette Sommers (1965-1986). Until 1986, the vacant lot adjacent to the south was associated with this house. That year, the lot and the existing swimming pool were sold off and incorporated into the lot to the east. When the current owners bought the house, the floors were covered with thick green carpeting and the woodwork had been painted. They removed the carpeting and have, over the years, painstakingly stripped the woodwork. Among improvements they made to the home are a family room addition, kitchen remodeling and the extensive terracing on the hill to the rear. Know more about this home? Please share any information you can by filling out our form.